Welcome to Wednesday Wait Loss! 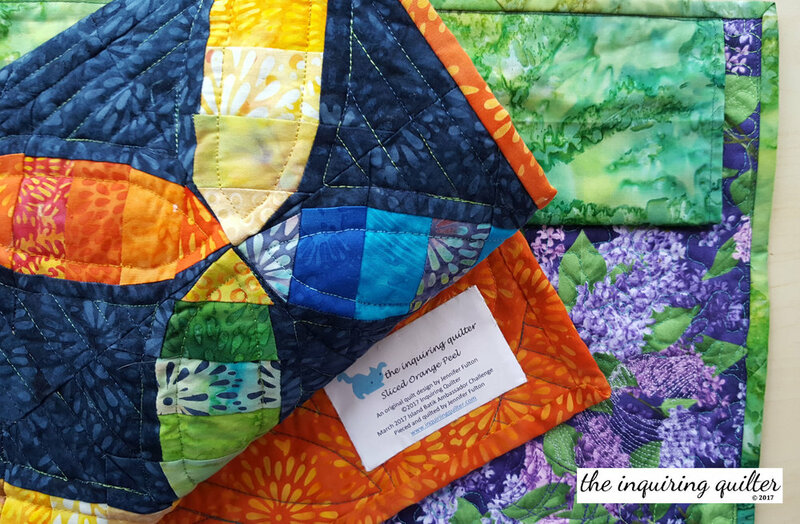 This week I'm busy preparing my quilts for our local Guild quilt show. To make my quilts ready for the show, I need to add labels and four-inch sleeves. There's a trick for making quilt sleeves so your quilts will hang flat, even when the sleeve is filled with a round pipe. Basically, you make a sleeve in the shape of a D, where the I part is flat against your quilt, and the ) part is filled with a round dowel, pipe, or something similar. I've got a nice tutorial to help you, if you'd like to add a D-shaped 4-inch sleeve to your quilts. I'm also adding labels. What kind of information do you put on yours? I normally put my name, the name of the quilt, the name of the pattern or a notation that it's my design, a date, and who pieced and quilted the quilt and any other info I think is pertinent. I print my labels o photo fabric. I print my labels o photo fabric rather than hand-print them. How do you make your labels? This week I want to feature Jen @ De Jong Dream House. Last week, Jen had so much to share with us! First, she shared the latest block in Pat Sloan's Grandma's Kitchen Quilt Along. Jen is using the quilt along to make blocks in memory of her Grandma, who is probably the most wonderfully interesting woman I've ever read about. If you haven't been reading Jen's Grandma's Kitchen entries, you've really missed some wonderful stories! 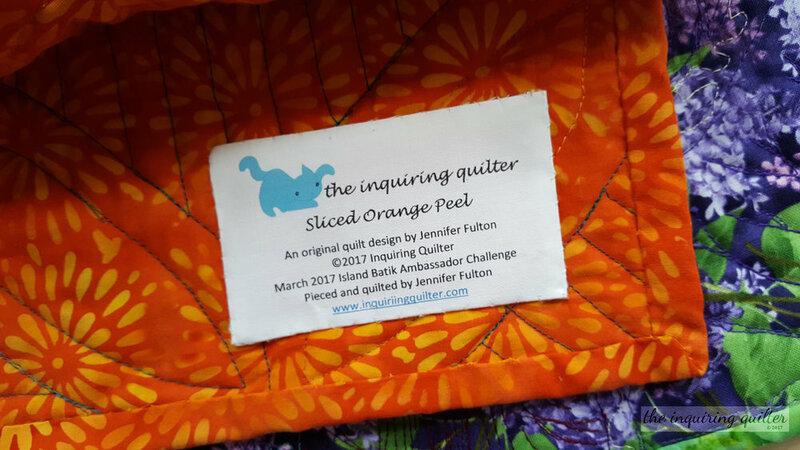 Jen also shared her fabric pull for the Prince Edward Island Modern Quilt Mystery. I've been an Anne of Green Gables fan since childhood and hold a secret wish to visit PEI someday so this post really resonated with me. Jen even has some Anne of Green Gables fabric she's going to use for the mystery quilt. Isn't that perfect? Finally, Jen shared an idea for a memory quilt for Stella. What a clever girl! Congratulations Jen! Here's an “I Was Featured” button for your blog.